One of the hardest parts at the beginning and end of your vacation is simply getting to the airport. You have to decide how you are getting there (rent a car? park your own? ask someone for a lift? ), make sure you have everything (did you grab your passport? did you pack your camera? ), and make sure you are going to the right places to get on your plane (which airline? what terminal are you in?). It’s enough to make the beginning of your vacation a nightmare and ruin the end of any good trip. ZG Limo Services in Aspen is an airport transportation option for most major Colorado airports to and from Aspen, and we know how to make getting to the airport a lot easier. Getting to the Airport Doesn’t Have to Be Stressful! Set your luggage out the night before. 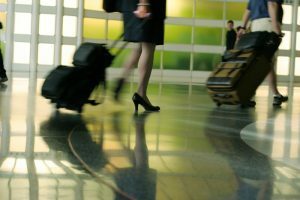 Preparation is key when it comes to getting to the airport stress-free. Pack everything up minus any toiletries and clothing you need for the next day. That way you’ll only need to stuff your pajamas and toiletries into your case as you head out the door. Use an electronic boarding pass. You might be reluctant to give up that paper boarding pass, but e-tickets are stress-free. You don’t have to worry about losing them and it gives you one less thing to keep track of as you make your way through the airport. Hire an airport transportation service. An experienced airport transportation service will know which terminal you need for your flight and be able to drop you off as close as possible. You don’t have to worry about traffic, parking, or finding the right place in an unfamiliar airport. We offer comfortable, spacious rides to and from Colorado airports and Aspen. If you want to make your next trip to the airport as easy as possible, book your airport transportation with ZG Limo Services today!